During a period of nearly ten years (2000-2009) I have photographed ‘objects’ in the countryside. Objects best described as trash, garbage, junk, litter, scrap, debris or waste. Objects that in fact should not have been where they were. They don’t blend in. They often do not decompose and stay where I found them for many many years to come, unless someone bothers to clean them up. My first years in Andalusia I was often upset when I saw the negligence of many, throwing away their litter in the streets, out of their car windows or leaving them behind after a pick-nick in the countryside. I used to tell children off if I saw them carelessly dropping the paper wraps of their chewing gums or candy bars on the street. They would often look at me as if I was from another planet, the Wicked Witch of the West.. 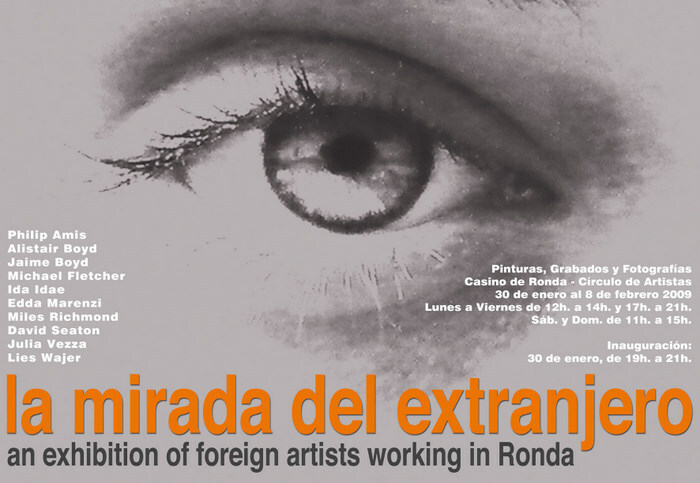 When I had my first show of these photographs in Ronda, at the ‘Casino; Circulo de Artistas‘ I urged the teachers at my son’s school to come and have a look , as a fun part of their classes of ‘taking care of your environment’. Not much happened though, and I myself was already bitten by the laissez faire bug, so typical to the inhabitants of Southern European warmer countries. By the way, all the objects have been photographed as found in the ‘campo’. They have not been staged.